Sylvie Guillem announced in November that she is retiring, this time for good – she will dedicate herself to animal protection initiatives. I love animals, but I love Dance more, and it makes me very sad. I had hoped she would coach, or choreograph, or teach, or manage a company. That All She Is will be lost for Dance is very hard to accept. I hope someone lures her back, somehow… Alessandra Ferri came back, to my great joy, didn’t she!! So maybe…? I have so much stuff on her, I could write a book, but Ismene Brown wrote in a way that couldn’t fit better any better what I feel about Mademoiselle Non, and in better English, so I will make some lenghty quotes. If you already read it, and what Sarah Crompton wrote, too, you know what I mean. (Links in the end). Ms. Brown quotes are in bold letters, my comments in normal format, and Sylvie’s in italic. If you follow dance or music closely, make them part of your life, you look on certain performers as your daemon. These are the artists who become part of your inner landscape. They act as a tuning fork for your emotions and imagination. And you mark their progress with particular hope that you won’t be disappointed. 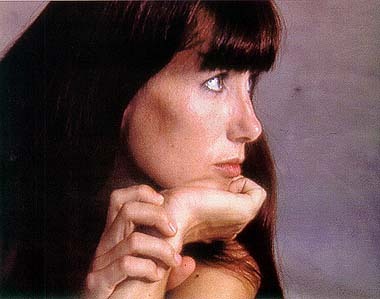 When the 25-year-old Sylvie Guillem arrived in London in 1989 from Paris Opera Ballet, with a flaming reputation as Rudolf Nureyev’s prodigal daughter, one’s first reaction was wariness. She seemed so flashy in her incredible bodily gifts. In Swan Lake, this Swan Queen showed no modesty in her headlong dives — the legs shot up in perfect verticals, they described high circles with the triumphant grace that only ultimate hard work of an ultimate natural ability can bring. We kept talking about those legs. But you don’t adopt a dancer as your daemon because of her legs. 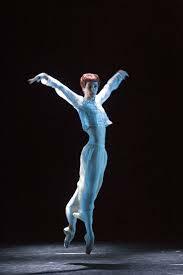 For at least 20 years Guillem has been regularly described as the greatest ballerina of this era, as the art’s game-changer. I wondered how conscious Guillem has been of the audience to whom she has been an exhibit all these years. She said she can’t see much from the stage. ‘When you can see them, people are sometimes a bit embarrassed about being seen. When people started sending me personal messages I could see it wasn’t just a good time that they were having for an hour or two at the show, it was having an effect on their lives. People would say, “Please never stop, you’ve changed my life, I wait for your show, to travel and see you is important for me.” It’s scary in a way too but it becomes a responsibility, a duty not to deceive them.’ … Mademoiselle Non insists that her more sceptical mission was always to search for purer and more direct emotional contact with the audience, on behalf of the characters created by the choreographers, not just to obey rules. In fact, the way she talks about some of the characters she’s inhabited — Manon in Kenneth MacMillan’s ballet, Natalia Petrovna and Marguerite in Frederick Ashton’s ballets — it’s as if she herself has wrested these fictional women away from the choreographers to become her daemons, just as I have made Guillem one of mine. I wish that a mission not to deceive the public was more common. I’m grateful that Guillem takes her public’s emotions so seriously, and happy that she says she’s hugely critical of performers who don’t see their responsibility to this ‘special place’, the stage. It may be one reason why some people feel cautious about her performances. For many in the institutions, ballet is a decorative affair above all, a fulfilling of an aesthetic ritual — that was the Paris Opera way that Guillem wanted to leave. Poor Mr. Clement Crisp in London, Mr. Macauley in New York, and others like them that gravitate around the ballet companies. If they could have their way, Ballet would have an existence of its own in a platonic, idealized world, performed by uncorporeal beings made just of CORRECT!! !, immutable lines. Why do I say “poor”? because they are condemned to have their wish denied every single time! It may seem it was her physical ability that bothered Mr. Crisp, but this was was not all that set her apart. Since the beginning she believed in her right to be part of the creative process, in having a say in her performance. She may have used her skill as a leverage, to give weight to her positions, but it’s the absolute respect to herself, and the way she brings all she is to her performance – both physical and emotional – that makes her so important as a dancer. When out of stage she may be shy, and trying to explain herself may be difficult, but she certainly knows what she wants, and feels, and does Not want! Mademoiselle Non is not a puppet in her coachers hands, nor in the choreographers hands, or in anyone else’s hands. Self-centered, vain, they called her. I say: she is honest! I think this attitude is so important Not because I’m a fierce defender of individualism – in fact, I believe individualism is overrated – but because the performer’s contribution to Dance vitality is seriously underrated. Her whole career is a loud statement, and a living proof of how mistaken such an underrating was. Some choreographers, Pina Bausch, William Forsythe, are more aware, and humbly say that their works make no sense without the dancers that made them (their works) what they are – pieces they created and grounded on the dancer’s individuality. It takes my breath away, it is such a wonderful concept! Creator and creature, both one and separated beings, one is idea and a wish for life, and the other IS life – already beyond idea, and as life, already flowing on its own! There is a scene of a rehearsal, Labyrinth of Solitude, choreographer Patrick de Bana lightly touches Ivan Vasiliev (it reminds me of a famous ceiling painting) in a gesture that means “Now you go!”, and THERE comes so much more than Patrick da Bana could ever coach or teach or explain… It’s all he may have wished for (he says so), but it does not depend on him anymore, but solely on Ivan Vasiliev’s performance, if he “has it” or not, if he is able to bring something of his own to life, or not. I get goose-bumps every time I watch! I suppose THIS is what choreographers like so much about Sylvie Guillem – in fact, they swoon over her – that she is able to make their work come to life, in a way they could only wish was possible, that depends on her being what she is. Her intensity, her beautiful, impossible lines, and… ‘I do, I suppose, tend to infringe rules and traditions’, are anyway more than enough: I am humbly grateful to her and all she has accomplished. I don’t expect other dancers to have the same legs or the same powerful personality – I don’t want them even to worry about that, it is not important! 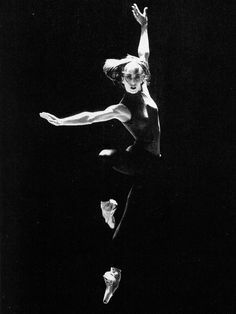 All I ask is that they are honest to themselves, and show me in what way THEY are unique – because this is the lesson to be learned from Sylvie Guillem!